I am no longer afraid of loaves... truly, thanks to Dorie I have baked enough loaf breads that they are starting to turn out well! There may still be hope for me as a baker, though I don't think I will ever surpass my daughter's baking skills. She just has too much of a jump on me. For now I am content with baking my loaf breads... and what a loaf of bread this was chock full of cheese, I used Gruyere, and olives...mmmuh a meal in itself. Dorie said you could use Comte, Swiss or Cheddar I think all of these are good except Cheddar... I just don't see this cheese going with such a Mediterranean flavor as olive. I would also skip the extra bit of salt that is in the recipe. Filled with cheese and cured olives this bread doesn't need any additional salt. I served the loaf with a Strawberry Balsamic Chicken...remember my bottle of strawberry balsamic vinegar from our goat cheese strawberry tartine? Well, I'm enjoying finding more uses for it. I got this recipe off of Patricia & Paul Artisans of Fine Oils and Balsamics facebook page. Dipping this salty bread into a sweet balsamic sauce had my mouth popping with flavor. Definitely accompany this bread with Champagne or a sweet white wine like a Sauvignon Blanc or a Riesling. What I love most about this recipe is it's versatility. Say you have a mild semi-soft cheese that is getting a little ripe, and some left over tapenade or sun dried tomatoes... mix them up with this bread recipe and your loaf will not seem haphazardly made at all, in fact it will look and taste like you just had it shipped from Provence. Note: Dorie happened to have published this recipe in her newsletter. Homemade bread is the best! I love the smell, the taste, everything :) Olives are so yummy, especially black olives, I bet the bread was delicious! It truly was and it was a simple loaf to make, no rising. I've seen some of your loaves... amazing, especially your challah. I think aged NYS sharp cheddar was part of my teething routine, so French or not, it will probably always be my first choice :-) Although, I have become a fan of Gruyere in my "old age"
I did enjoy this bread - but I can see where you would have to be careful of the salt depending on the type of cheese or olives used. Yes, I wish I thought the salt quanity from the cheese and olives through before I added that extra 3/4 teaspoon or tablespoon? of salt. It was 48 this morning and it's practically summer here Anne...LOL. I hope you try this bread I was so impressed by it's easiness and tastiness all in one. Liz and you are right, Diane. When oil-cured black olives (or, any salty food ingredient) are in a recipe, skip the salt. Although I love salt and often have a heavy hand, I skipped it for this bread loaf and it was still delicious and beautifully flavored/spiced. Interesting that you took a recipe off the Patricia & Paul Link for your chicken dish. That's sorta the modern day version of a recipe card or on the back of a food product. I was in two food classes/cooking lessons with Mario Batali today at the Aspen Food & Wine. Thot of you and how much you would have enjoyed it. Wow, Mario Batali cooking lessons... I am jealous. Yes, I would love that.. thanks for thinking of me. Your right FB page recipes are like back of the box recipes today. The bottle of vinegar I have is from that company so I figured they would have recipes for using it. Really, good and simple. Because you were being a good Dorista and listening to the fact that Dorie said it was an appetizer. Mmm... that chicken, sounds divine! It´s one of those breads that goes with so many things, even toasted on it´s own too. I´m very curious about that berry balsamic, sounds quite the find! I never buy things flavored and I got the strawberry vinegar as a gift and I have to say I am enjoying it. 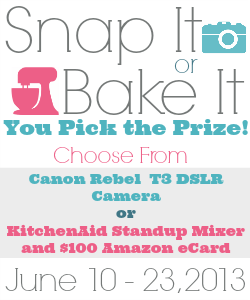 This recipe is a perfect match for your blog - it lends itself to all kinds of variation and couldn't be simpler! Have a wonderful weekend, Diane! Yes, Susan it was truly a simple bread and yes, it fit my blog well. Love the sound of Strawberry Balsamic Chicken! It is awesome and super easy to make, it is a true back of the bottle recipe. And you were not partially happy with the bread, was it the cheddar or you just don't like quick breads? 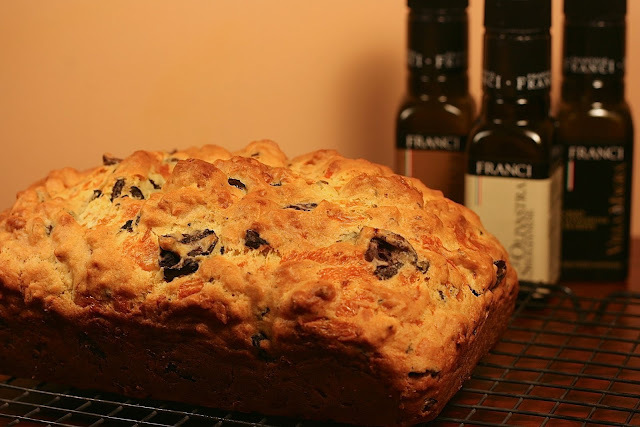 Diane, what a gorgeous loaf of quick bread with black olives and Gruyère and the chicken you served alongside with that special strawberry balsmic vinegar sounds wonderful - what a nice meal! Thanks Andrea... it has finally stopped raining here in NY and it is in the 80's dry and gorgeous. I'm sitting by a pool right now. Lovely looking bread Diane!! and the chicken must have complemented it greatly! 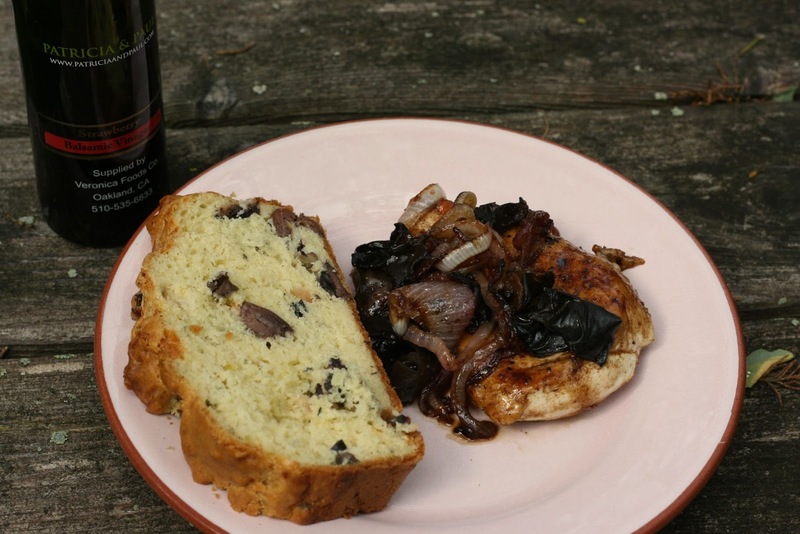 I am not a big bread person but I do love chicken so I am going to make this balsamic chicken. It looks gorgeous!!! Please do and the recipe was so simple you'll love it. 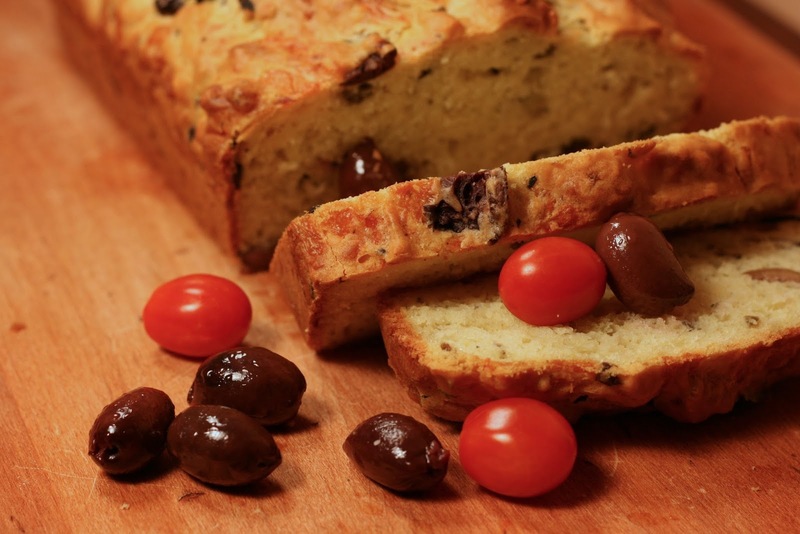 Your olive-studded loaf looks bakery-worthy. What are those bottles in the background of your first picture? Is one of them the Strawberry Balsamic Vinegar? I wasn't wild about this one because the texture was too much like cake, though I did like the flavors and the opportunity to play. Hope you are having a great weekend. Thank you for such a compliment. I was pretty excited at how well the loaf came out since I usually have disasters while baking. The bottles in the background are a set of olive oils mild, medium and strong for drizzling. I got them at Eatlay in NYC they are from the company Frantoio Franci excellent oils. Balsamic envy that's one I haven't heard. Yum, this looks so perfect. Your bread looks absolutely delicious! I love making different savory breads, especially to serve with soups and salads. There's nothing like some freshly made bread! Yours looks wonderful! Thanks Maria this worked with a number of meals and as a snack on it's own. Your chicken looks excellent! I made balsamic chicken recently and was reminded how much I like it. I'd bet it would be even better with strawberry balsamic. Glad you enjoyed the bread! I never made balsamic chicken. Surprised at how simple and delicious it was. I found the bread to be the same way. I love this bread look amazing!! Thanks Gloria, to me it was really different and really simple to make. Delicious cheese olive bread, I Love homemade bread, thanks for sharing with Hearth and Soul blog hop.